Reviews are subject to Dealer approval. Read Our Incredible 5 star Reviews! 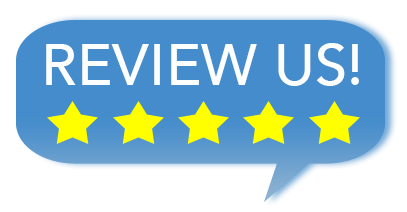 "I had a great experience with this dealership they were able to finance me and get me the car that I wanted and the staff was friendly. I would recommend this place if your looking for a new car." "Very Friendly and helpful. Got a great deal!" "Loved this place, they helped me get approved with a 1,500 down payment with low payments I recommend this dealer ship to anyone who isn't trying to struggle! Ask for Lon"
"My sister and I had the best experience this last Saturday!! We were looking for a bigger family car and was helped by Mr. Chavez!! From the beginning you can tell that he was on our side trying to get us the best deal possible!! On top of this we had our four children with us and they had a playroom set up for the kids and they even had a ton of pizza for the kids to eat!! This made our day so much easier!! This is definitely a family-oriented car dealership!! Any future car purchases will definitely be with Mr. Chavez at this dealership!! We can't thank him enough!! Side note also management is very friendly everyone there is so welcoming!!" "Right price for right vehicle. Prices are reasonable and affordable." "Great place to buy a car! No games like those other places we were lured on the phone to come over and when we got there they couldnt help us. James and the guys were great. Will be sending friends and family." "A great buying experience. Our salesman Bob is very helpful and patient and most importantly honest. He made us feel comfortable and welcome. Impressive customer service! I really appreciate it guys and THANK YOU KARPLUS!"